Last Edit: 23 Mar 2017 18:10 by Flare. Do you believe that jews are unlike all other humans, and rather than varying in character like the special non-jews, they are all cut from the same cloth and therefore can never be trusted? 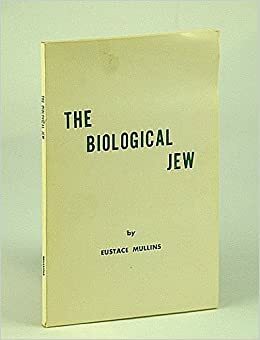 A brown skinned , brown eyed Jew from the middle east and a blond haired, blue eyed Jew from Europe must, of course, be biologically identical. Indeed, the far majority of them can not be trusted. This due to the fact that we hardly see any of them coming forward to tell what's what. The very few that do are real heroes imo. Last Edit: 23 Mar 2017 18:46 by Flare. To tell what's what? Are you suggesting that they are all in on the elite's agenda and are in full support of it, besides these few heroes? Do you have any idea how ridiculous such a belief sounds? You are no different than the US troops who labelled Vietnamese as gooks, or the Russians who look down on Slavs as if they are rats. Last Edit: 23 Mar 2017 18:58 by ragnarok. Yes, almost all of them are in on it, conscious or unconsciously. With unconsciously I mean that they are programmed that way over the past 6000 years through Talmudic brainwashing, so it's written in their DNA. We are talking about the by far most cohesive race/group on the planet here and they (almost) always take care of one another like no other race does. That's one of the main factors which makes them so powerful, their extreme cohesion. It sounds to me like white nationalists are just a teensy bit jealous of their cohesion. The way they are set up is EXACTLY how the elite white families would like to run the world. There's only the lack of will that differentiates them. The current god of the white nationalists, Putin, isn't building an empire that he plans to share with the white masses. Last Edit: 24 Mar 2017 10:10 by ragnarok.